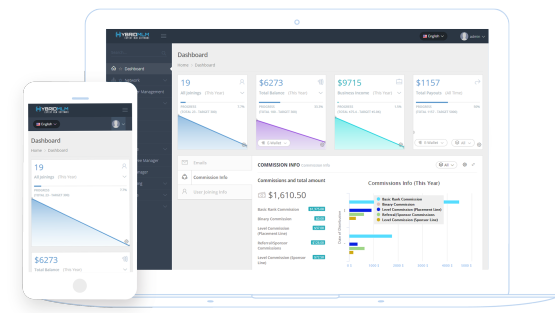 Are you looking for the finest Multi-Level Marketing software that perfectly reflects your business portfolio with super-fast performance and flexible user interface design? Then get the hybrid MLM software. 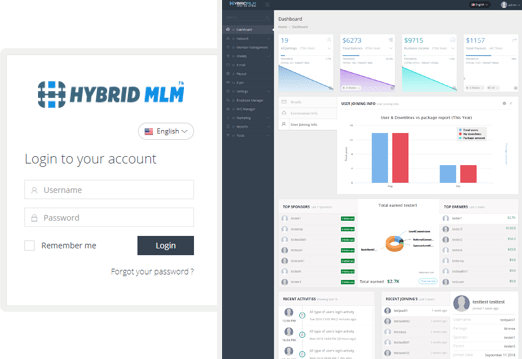 Hybrid MLM is one of the leading global MLM software provider with unbeatable solutions for all complex network marketing challenges. We operate a well optimized and highly efficient downline management scheme that can adequately handle all levels of business marketing operations. 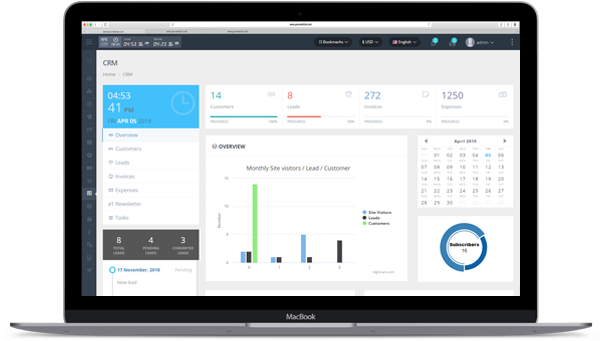 Our MLM software is the best and second to none in the software market that gives business administrators 100% managerial control over the overall business workflow. Hybrid MLM offers a 100% modular software system, and this is why we stand out amongst all other software companies. Our modular software platform is highly flexible with a perfect coding combination. The modules of our premium software framework can be easily decoupled and assembled without any complexity, giving you the much desired control over the different features and operations in an MLM marketing software. 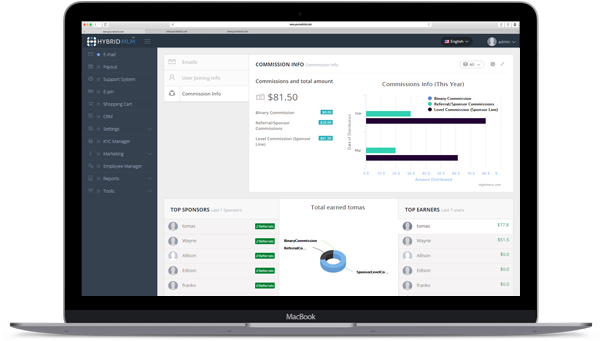 With our free MLM software DEMO, you can compare the different MLM plans that we offer. You can also try your hands on any or all of our customized MLM compensation plan to see which plan has the best commission calculation that suits your needs. Have you tried any of our MLM DEMO plans? 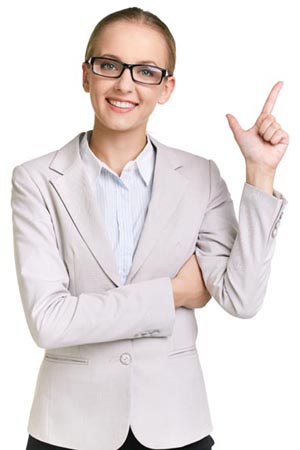 Now, proceed with the registration for your own MLM software. You can also customize your MLM software to suit your style with Matrix, Binary, Party, Hybrid and other MLM plans to choose from. Our premium open source MLM software are affordable and covers different compensation plans suitable for enterprises of any multi-level marketing business portfolio. We understand that there are certain unique features relevant for a seamless MLM software performance. You are free to customize these features to suit your desire or choose to develop new ones to fit the specific desire of your business enterprise. For the best software experience, here is a quick preview of the add-on packages offered by Hybrid MLM software. 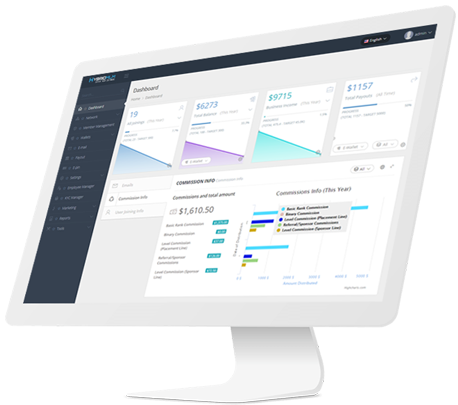 To give your business enterprise an edge in the highly competitive market, we offer a list of advanced MLM and network marketing software features that suits any form of business model. If you are looking to set up a cost effective payment/reward plan that is in line with the vision of your organization, we offer MLM business plan consulting services for a wide range of business portfolios. 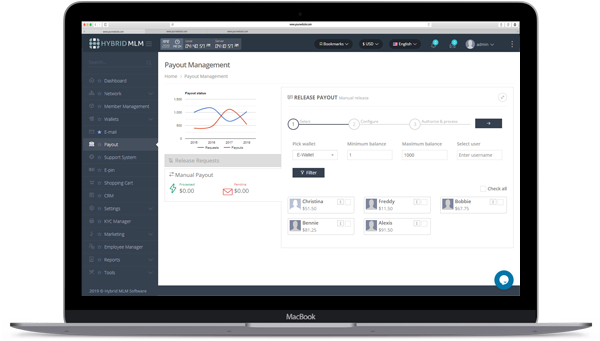 Hybrid MLM software is adaptive and can be integrated with any other e-commerce system and business module, including payment gateways and cryptocurrency ERPs. We can also assist you with your business promotion using our network marketing experience, online marketing strategies, and the integration of our sweepstake solution with our MLM software. With our innovative technology, you have the liberty to customize the advance and highly secured software that we provide to suit your specific organizational needs and objectives. We offer you an optimized genealogy arrangement of downlines as well as the best downline members management. Our MLM software also provides you with easy and total access control of downliners. Hybrid MLM customer service reps are always available to attend to any challenge you might face. We provide 24/7 customer support services in English, Spanish, French, German, Italian and Chinese. To help you enhance your business productivity and profitability, we provide adequate trainings for your employees with illustrative videos and guidelines for the features and plans of our software. Our MLM and network marketing software unparalleled, with reliable functionalities, developed with modern and hi-tech tools. This is why we remain the best MLM software provider. Built on top of the #1 framework Laravel and latest technologies such as Socket, Node, Ajax etc. High standard and fully optimised codes following the best coding practices. Highly flexible, easy to extend system and developer friendly source code. Bullet proof system with 100% tested source code leaving no more vulnerabilities for attackers. Our 24x7 support team and highly skilled developers are ready to hear from you any time. 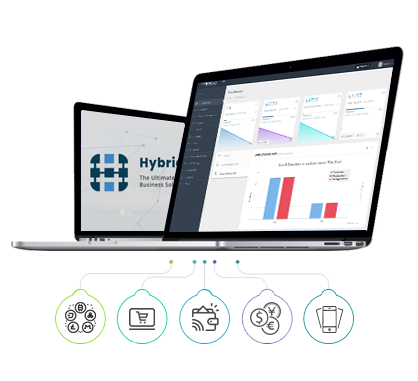 Hybrid MLM software is a premium integrated MLM software provider with advance features like; e-commerce and online coin wallet. 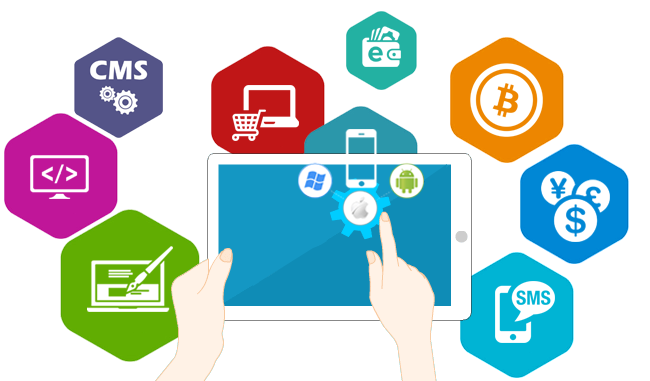 We have on board a team of well-equipped professional software developers who have designed an advance solution to handle complex enterprise MLM requirements. 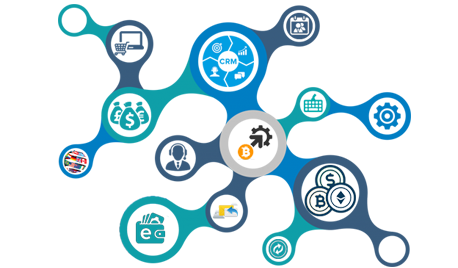 Our innovative platform is designed with up to date premium technologies like; MySQL, PHP, Apache, jQuery, Python, MongoDB and NodeJS, highly secured to withstand any form of cyber threat to give you the best user experience. We offer optimized business intelligence tools that provides you with fast, accurate and efficient translation of complex statistical data. 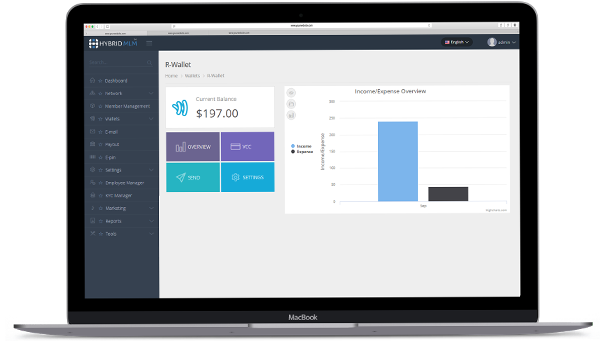 Hybrid’s MLM software dashboard is also simple and highly interactive with a user-friendly interface. Ready to get your business to the next level ? It is essential to have a solid and flexible software solutions for any internet business here we promise you the same with our highly featured and securely forged system. following are some information you might be interested in. 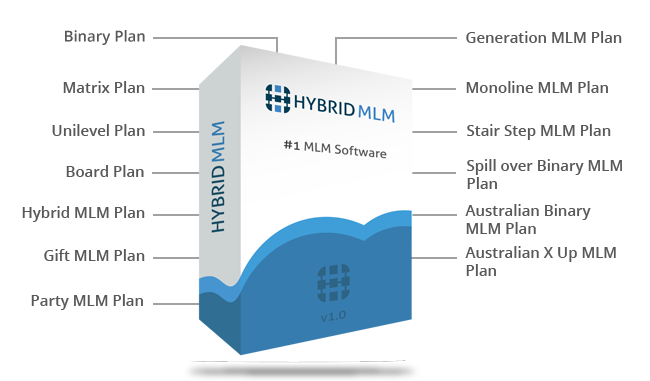 Hybrid MLM provides you with customized MLM software that suits your desired business goals and specification. You also have the freedom to integrate our amazing add-ons to your customized MLM software to enjoy the maximum benefits of our amazing features. 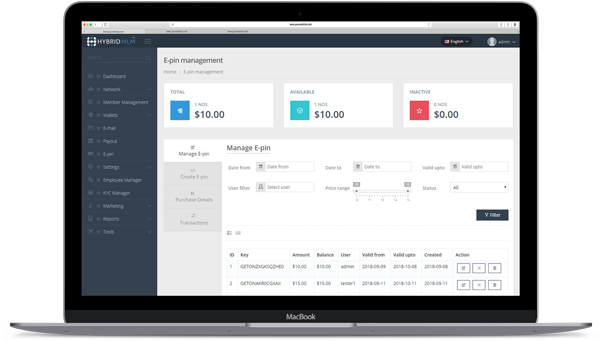 The cost of the Hybrid base modular MLM software is about $900, which is competitive and relatively affordable. You also get our compensation plans and add-on features at a fair price too, plus a couple of other features free of charge. How to Get Our Software Package? 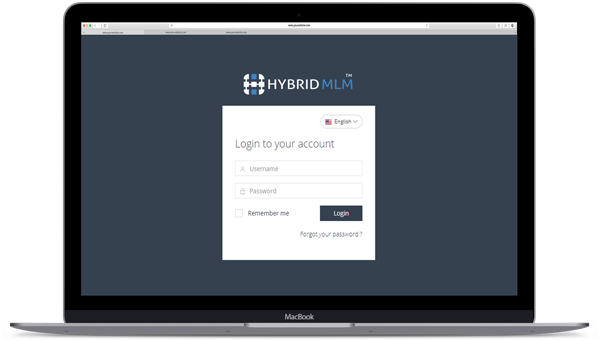 To buy the Hybrid MLM software, you just have to fill out and submit the simple request form available on our website by hitting the “Get Now” tab. We will immediately get back to you with a detailed initial quote about our software package and compensation plan. For your convenience, we have a range of options you can choose from to make your payments. You could do a direct fund transfer from your bank, Western Union Money Transfer, or make payments with your credit card through our online payment platform. Asides the fact that we offer flexible and affordable MLM business software solutions on a highly secured platform, choosing Hybrid MLM comes with a lot of other amazing benefits. The binary plan is a structure used in MLM that ensures that one member recruits or brings in two people.. This plan offers an unlimited width plan, permitting one sponsor to own several distributors on a single line. This is another Multilevel Marketing plan. It is otherwise known as Forced Matrix MLM plan or Ladder Plan. Stay tuned and join us! 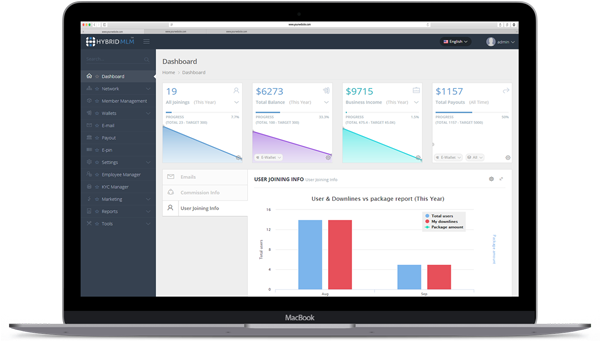 Better experience for your customers, fewer headaches for your team. You’ll be set up on the help desk in minutes.